Ferrari 458 Special, red coupe model with 2 seats. 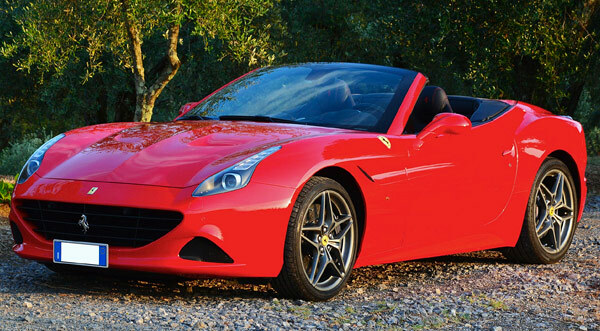 The price for the Ferrari rental varies according to the required period and the required model. The rental period can be daily, weekly or monthly. 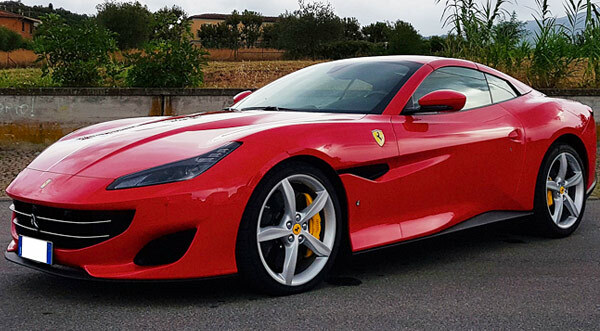 It's considered one of the most beautiful cars in the car rental market and there are a number of very limited specimens in Italy. KLR is pleased to present to its customers a dream car, available for short, daily, weekly and monthly rental. The Ferrari 488 Spider has a unique and unmistakable aesthetics, so beautiful to be rewarded by the German magazine as the most beautiful convertible sports car in the world. The spider version features a rigid roof that in less than 14 seconds leaves to the driver and to the passenger the ability to ride the open air. Onboard stands out all the luxury of this fantastic car. The central gearbox no longer exists. All the controls are at the wheel that has become the point where all the buttons are centered. Power and responsiveness are the distinguishing marks of the Ferrari 488 Spider boasting 670 horses, about a hundred more than the Ferrari 458. Easy and particularly intuitive to drive, the Ferrari 488 Spider has an unmistakable sound that can be heard both with open roofs and coupé versions. Fast delivery at the airport or in any other place required by the client. Entrust the experience of Karisma Luxury Rental team. We are able to offer you a 5 star service, with delivery in all italian airports. The personal assistant will wait you directly at the gate exit, offering you an elegant and discreet service. The documents needed for the delivery will be quickly elaborated in less than five minutes after your arrival; after that you could listen to fantastic rumble of the engine. For the VIP clients that travel with private flights, the car delivery may be done directly at the landing strip. Care and discretion are our best outcome and our first business card. Milano is considered one of the most glamour cities in the world, and it is a perfect starting point to visit some of the most wonderful places of our country as well, boarding a luxury car. You could indulge an exclusive week end driving an exclusive Ferrari, and visit the VIP places of magic Italy, from dusk till dawn, across Como Lake coves, passing Cernobbio and Villa d’Este, and Bellagio. Driving a Ferrari you will travel across culture and history, leaded by the 500 horsepower of the most mighty engine of the world. 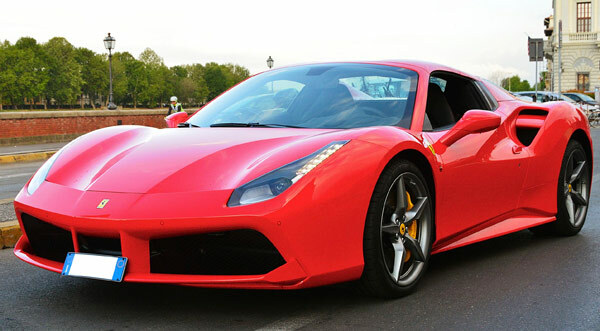 Decide among Ferrari California, Ferrari 458 Italy, Ferrari 458 Spider, Ferrari 458 Special and indicate your itinerary. The Karisma Luxury Rental personal assistent will follow and assist you from the very first online contact, until the key drop. Ways full of suggestions and luxury, between Milano and the Lake of Garda, driving the most exclusive Ferrari models with incredible performances. A perfect service, demanding custum-cut designed that will have the privilege to drive supercars and luxury cars, able to give unusual emotions. You just have to press a button to open the sunroof, and thus have all the eyes turned in your direction. A luxury convertible, that will make the driving experience more thrilling than ever, among bends and straight roads. Studied to give extreme comfort either to the driver and to the passenger, all the Ferrari have ergonomic interiors, with precious details and using fine materials. The direction indicators are posed on the steering wheel, so as the button to turn the lights on/off, the light height adjustment, the position lights, the dampening control, the drive command and the ignition control. The service is great, perfect time organization; they gave me the car 5 minutes after my arrival. Nothing to do with the long waiting expected with other rental services. I chose the service One Way, with car delivery in Milano and drop off in Florence. I have already reserved the Ferrari 458 Spider for my next travel to Italy.